Suddenly, and without any introductions, Configuration Manager 2012 R2 is no longer update the information of Heartbeat DDR and Hardware Scan fields. On the other hand, machines are sending hardware invntory and communicating in a healthy way to the configuration manager. We can also see updated hardware inventory for all machine. The only thing, is that these two fields are showing a very old date. This can be harmful if like me you are using these fields for various reports. After opening a case with Microsoft, the support engineer confirmed that the configuration manager implementation is healthy and everything is working fine. 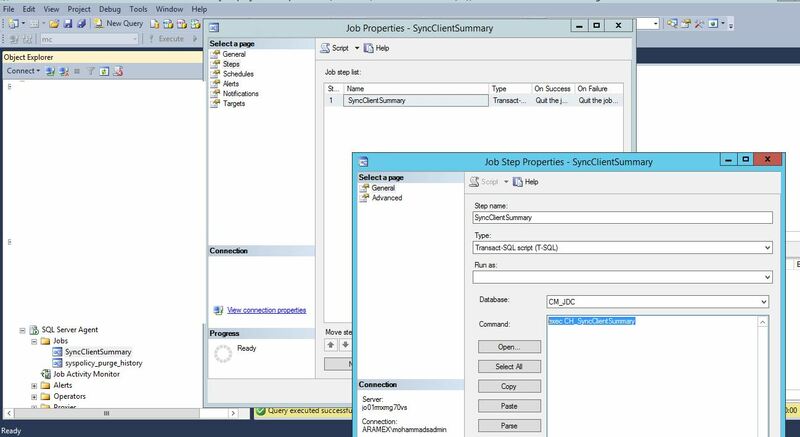 After several escalations, Microsoft solution was to create a SQL JOB that runs every day that execute a built in stored procedure called exec_CH_syncClientSummary. The solution worked like magic.